Life Well Link 10 am New Stratford Hospital 1st Floor Drop-in advice and support centre for people with life threatening illnesses, their carers and families. St Peter's Little Angels Church Centre 1.30-3pm in term time. Contact Pat on 840283 or Margaret on 508831. Pilates for U3A members in the Village Hall 1.30- 2.30p.m. Bingo Lawrence Mackie House. 7pm. Little Stars for pre-schoolers and their grown-up minders 9.30 a.m. to 10.30 a.m. in term time at the Methodist Church. Slimming World at St Peters Church Centre, 9.30 a.m. and 11.30 a.m.
Pilates 10 – 11 at St Peter’s Church Centre. Contact Hayley on 07799 2414052. Sessions on other days in Kineton and Ettington. Exercises for Elderly & Disabled People. Lawrence Mackie House. 9.45 -10.45. Exercise to Music for Sixties plus. £2.50 per session. Manage your body maintain independence. WAG Walking A one to two-hour walk around the village. All ages welcome. Meet outside the Conservative Club 2pm. Contact Hilary on 01789 840713 or 07903208867. Slimming World St Peter's Church Centre 3.30 p.m., 5.30 p.m and 7.30 p.m.
Bell Ringers Practice St Peter's Ch. 7.30 - 9pm. New & existing ringers welcome. Kineton and District Tennis Club Thurs 18:30 onwards at Kineton High Sch. contact lan Smith on 07971 444099 or email: ismith@withersrogers.com . Walking for Health 9.45 a.m. 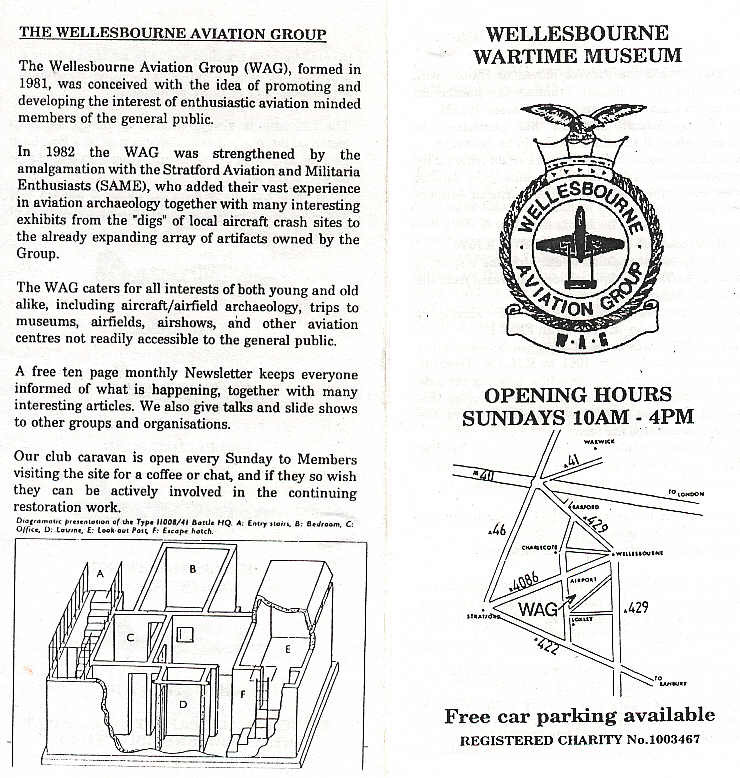 Village Hall: walk for 1-1½ hours around Wellesbourne and beyond, with trained leaders. Contact Peter 841755. Wellesbourne Library. Rhyme Time for babies and toddlers, 10.00 - free. Wellesbourne Library Games & Gossip. An afternoon of board games, cards & chat. 2-4 p.m.
Drop in Computer skills lessons for silver surfers 1st and 3rd Mondays from 10am -12 noon pre booking required. For further information on both call the Library on 01789840528. Mobility Plus Exercise at Alveston Leys Nursing Home. (Open to all) Thurs. at 2pm. £2.50 per class. Ring Nicola Howerd on 204391 to reserve a place. Joseph Arch Lodge 8141 of the RAOB Meets fortnightly on Mondays 8pm at the Conservative Club, Church St.
Well baby and Child Health Clinic in St Peter’s Church Centre. 1st and 3rd Thursdays 9.30 – 11 a.m. No appointment necessary - just drop in. From Feb/March 2019 it will meet in the new medical centre. Midweek worship at the Methodist Church 12.00 noon 1st and 3rd Tuesdays. First Wednesday Lego Club at the Library for children of primary school age, 3.45 pm– 4.45 p.m.
First Thursday Craft and Cake from 2 – 4 pm at the Methodist Church – bring your own project or just come for a chat. OSCARS group for Carers, at the Village Hall 10.30 a.m. to noon on 2nd Mondays. Second Wednesday Women’s Institute 7.30 p.m. in the Village Hall. For information call 01789 470012.